Greater Payouts for Health Care Providers? 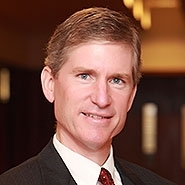 Healthcare providers could start seeing greater payouts on their liens against patients with pending tort suits, following a May 21, 2015 ruling by the Illinois Supreme Court that officially ends a debate between healthcare providers and plaintiffs' attorneys as to when litigation fees and costs are deducted from a tort settlement or judgment. In McVey v. M.L.K. Enterprises, LLC, 2015 IL 118143, the court ruled that under the express statutory language of Section 10 of the Health Care Services Lien Act (the "Act") (770 ILCS 23/10), "attorneys' fees and costs should not be deducted from a plaintiff's recovery prior to calculating the amount to be awarded for the payment of any health care lien." Id. at ¶1. This is welcome news for providers and professionals who are often asked or told by plaintiff lawyers to reduce their lien amount. 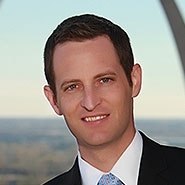 Ultimately, the McVey court was essentially asked to decide whether healthcare providers are required to contribute to the attorneys' fees and costs in the underlying tort suit that generated the funds to satisfy the liens, by having those amounts deducted from the proceeds before the liens are resolved. The court answered in the negative and issued a ruling consistent with its prior stance on the common fund doctrine in Wendling v. Southern Illinois Hospital Services, 242 IL. 2d 261 (2011). The court confirmed that "[t]here is nothing in the Act that allows a health care lien to be calculated from the net amount of a plaintiff's verdict, judgment, award, settlement, or compromise, after costs and attorneys' fees have been deducted." Id. at ¶ 15 (citation omitted). The plaintiff's attorney is not recovering the funds for the benefit of the healthcare provider, and the provider should not be forced to contribute to the costs of litigation and to take a lower recovery on its lien. Id. at ¶ 18. The court reasoned that "plaintiff, by seeking to have her attorneys' fees and costs subtracted from the total settlement prior to calculation of the healthcare services lien, is asking us to improperly shift some of her attorney fees and litigation costs onto the hospital." Id. In McVey, the plaintiff settled her claims for injuries sustained, for $7,500 after a waitress dropped a tray of drinks on her foot. Id. at ¶ 3. A hospital asserted a medical lien of $2,891.65, and the trial court entered an order distributing the funds pursuant to the Act, recognizing that no health-care provider or professional could receive more than one-third of a verdict, judgment, award, settlement, or compromise – or $2,500 under the facts. The Act also provides that where the total of all liens meets or exceeds 40% of the judgment, award, settlement, or compromise, the attorney's fees are limited to 30%, and the court awarded $2,250 to plaintiff's attorney. (770 ILCS 23/10(c)). The remaining $2,750 of the settlement was awarded to the plaintiff. 2015 IL 118143, at ¶ 5. The plaintiff appealed the allocation, relying on the Fifth District's previous decision in Staunton v. Rae, 2012 IL App (5th) 110187, and argued that the "computation of the amount available to health care providers should not begin until costs associated with bringing the case to trial and securing payment of the judgment have been deducted from the amount of the original verdict." 2015 IL 118143, at ¶ 6. The Fifth District reversed, finding that the trial court erred by failing to award attorneys' fees and costs prior to reducing the award for the medical lien. The Illinois Supreme Court, however, looked to the plain language of the Act, which repeatedly states that liens are to be calculated as a percentage of the "verdict, judgment, award, settlement, or compromise," and makes no reference or allowance for any prior deductions. The ruling is a narrow one but will have an important impact on personal injury litigation and eliminates some of the pressure that health care providers face from plaintiffs' attorneys to limit the recovery on their liens. If you have any questions regarding McVey, the Health Care Lien Resolution Act, the common fund doctrine, or other health-care-related matters, please contact R. Scott Moore or Corey M. Schaecher.